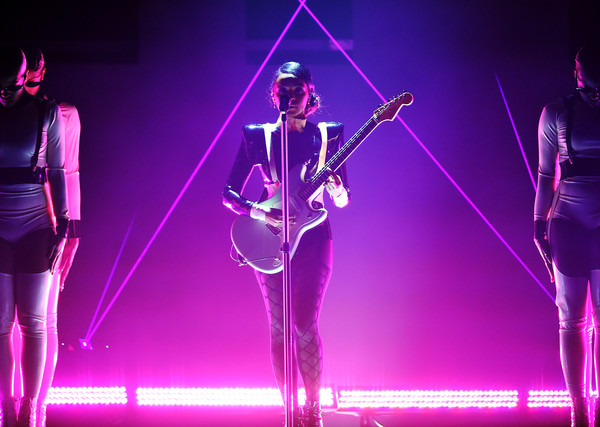 Janelle Monae brought everyone inside her Dirty Computer world during an electric performance at the 61st Annual Grammy Awards. 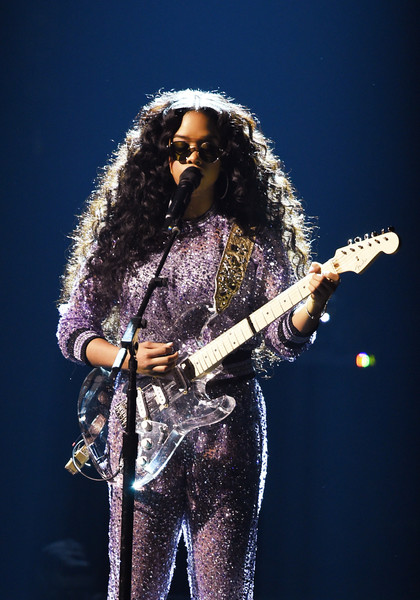 R&B songbird H.E.R. - who nabbed TWO Grammy Awards - slowed things down with a sultry ballad. Travis Scott turned the stage into his own mosh pit! But before he got the crowd hype, the three-time Grammy nominated rapper kicked off his performance with an unlikely backing from James Blake and Earth, Wind & Fire's Philip Bailey. They performed a slowed down version of "Stop Trying To Be God," a cut from his chart topping ASTROWORLD album. 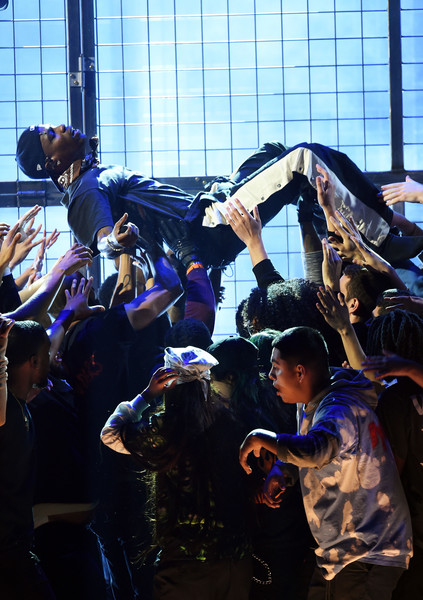 The Houston native transitioned into a cage as he performed "No Bystanders," tapping into his southern roots. "No Bystanders" features the hook of Three 6 Mafia’s hit 90's classic “Tear Da Club Up," so you know folks got turnt. It was pandemonium as he and others climbed up and down the sides of the cage during his performance. Once he hopped out (shoeless), he crowd surfed and then dove into a moshpit for a high-energy performance. 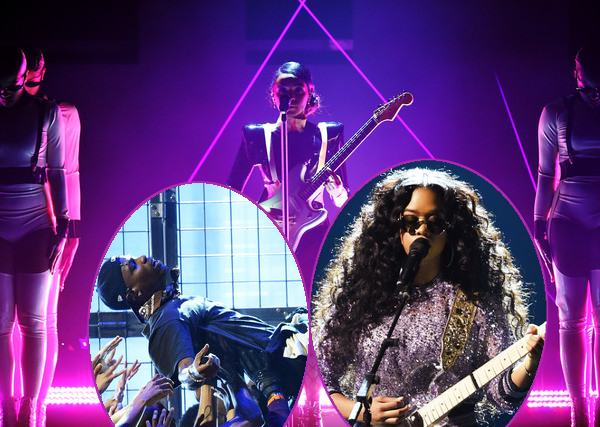 PREVIOUS: GRAMMY WINNERS CIRCLE: Drake Pisses Off The Grammys, Childish Gambino Gets Historic Record Of The Year Win (Plus 3 More) + The Carters, Cardi & Full List! NEXT: HISTORY, MADE! Cardi B. Wins 1st Grammy, And It's The First 'Best Rap Album Award' Won By A Solo Woman!